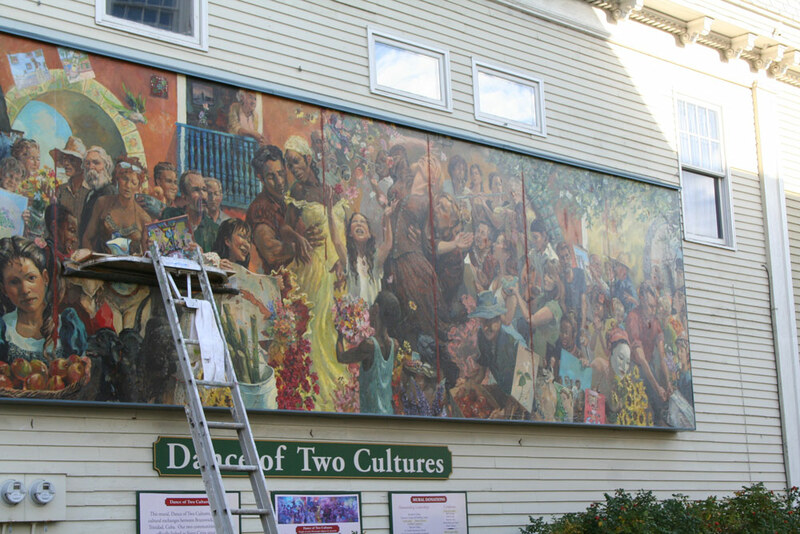 My “Dance of Two Cultures” mural in Brunswick, Maine is 6 and half years old this fall. Yesterday I was down in Brunswick doing a little upkeep before winter. 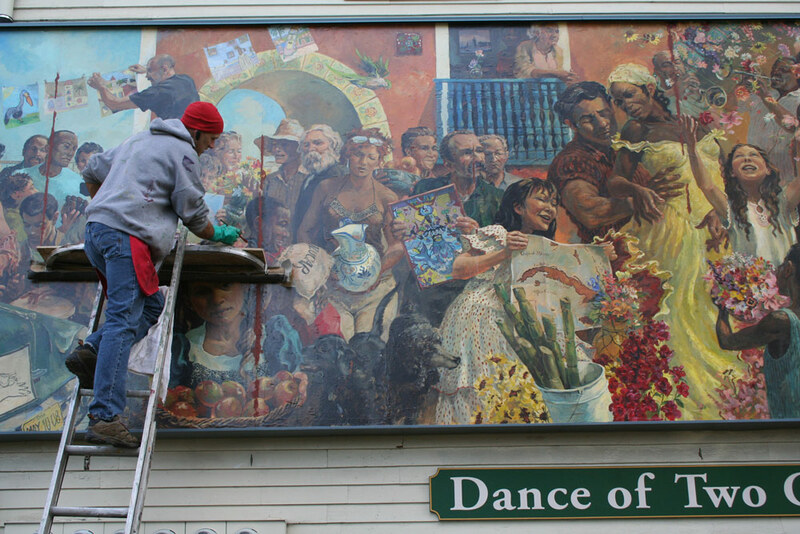 It is an outside mural, year round in all weather but it needed surprisingly little maintenance. The paint is very tough and the entire mural has a protective varnish as well. It did need a little repair in a few small spots and along a few seams. First I removed the protective varnish, which is why I am wearing the gloves, BTW. Then I moved on to fixing a few seams where the paint had cracked a tad. I used the red oxide color just so I can remember where the repairs were. On the next warmish day I will head back down to restore the original brushwork.